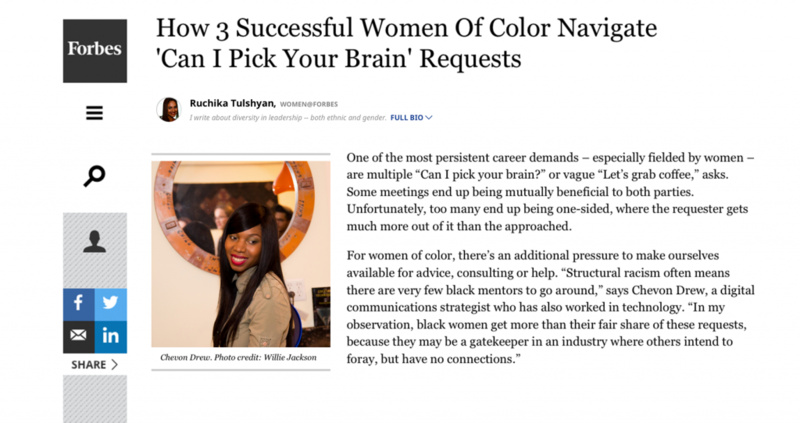 Forbes interviewed me about being the recipient of numerous “can I pick your brain” requests. I share valuable tips on managing those requests with empathy and a firm hand. Read the full story here or by clicking on the image above. « Our seventh annual WAM!NYC Gender Justice in Media Conference at Columbia University’s Barnard Center for Research on Women rocked!